Choose from our unique selection of ceramic urns. 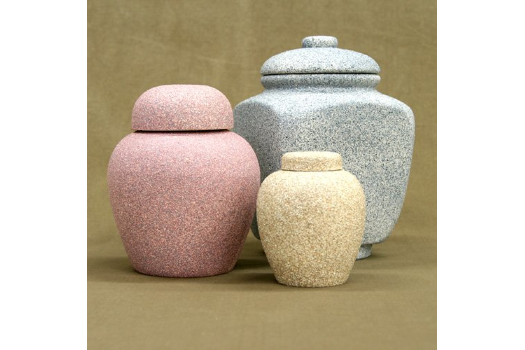 9" x 6.5" x 4.75"
8 1/2" x 5 1/2" x 4 1/2"
This Ceramic urn with matte textured finish is one of the standard optional urns used when returning your beloved pet to you. Simply Oak and Cedar urns are the other urns included with the cremation packages.